The products imported by Algeria benefiting from the benefits of the Arab Free Trade Area (AFTA) agreement have declined by over 44% despite an increase of 2.6% of total imports of Algeria this area, it was learned Wednesday with Algerian customs. 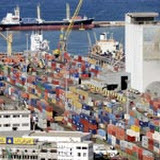 The imported products under AFTA have reached $886.9 million $, against nearly $ 1.60 billion in 2009, thus registering a decline of 44.56%, according to data from the National Center of Computer and Statistics (CNIS) falling within Customs. Total imports of Algeria in this area totaled $ 1.66 billion in 2010, against $ 1.62 billion in 2009, up 2.6%, according to Customs.